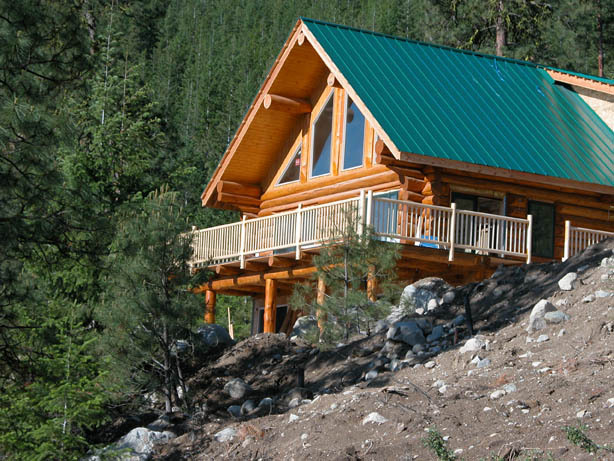 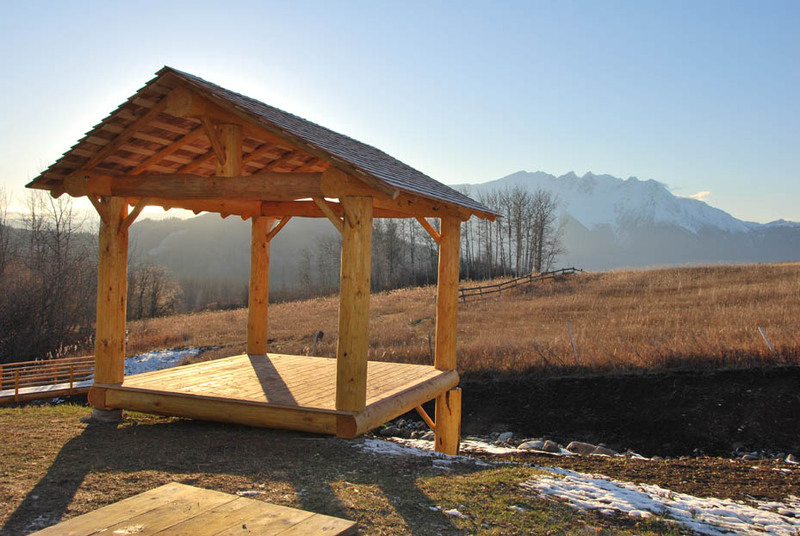 In addition to building log shells, we are also able to build specialty structures such as log bridges and small log outbuildings. 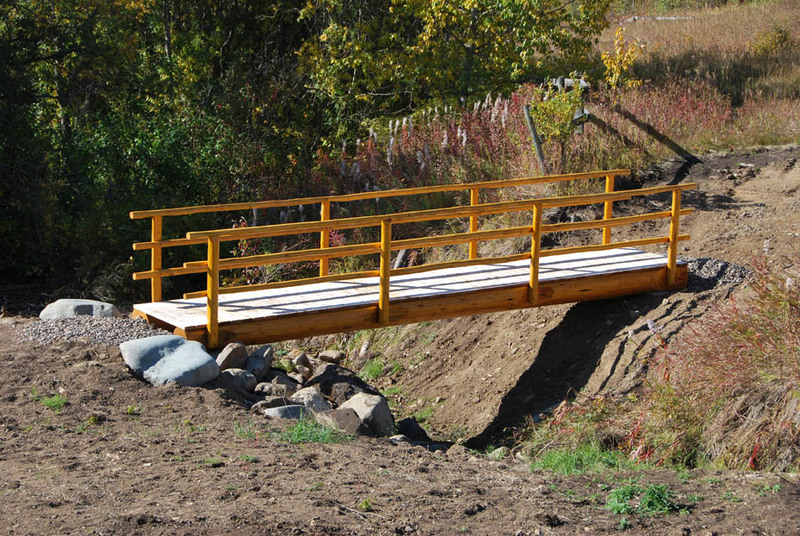 The photos show a log bridge crossing our seasonal creek. 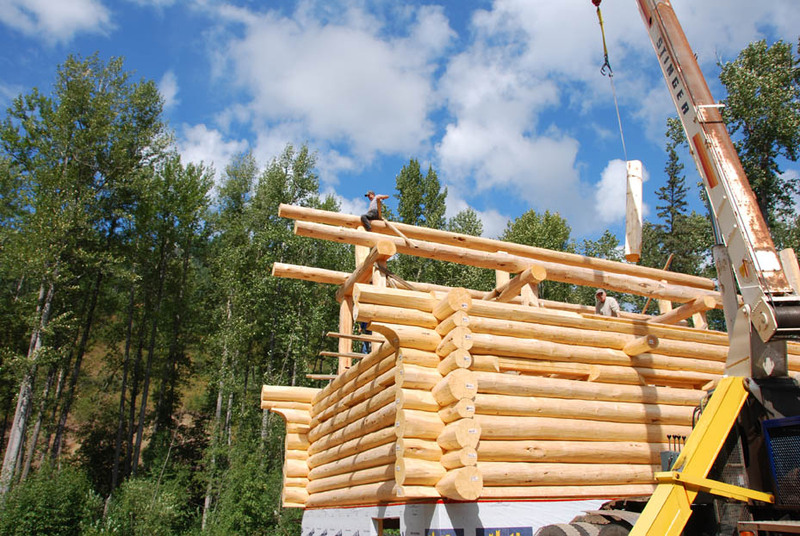 The log stringers are 25' long and the log railing is made of dry pine. 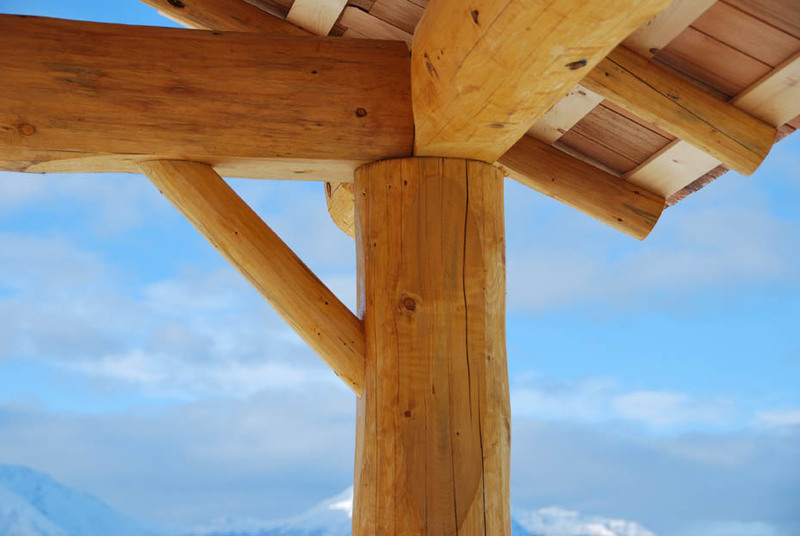 The rails and posts are secured using counter-sunk lag bolts. 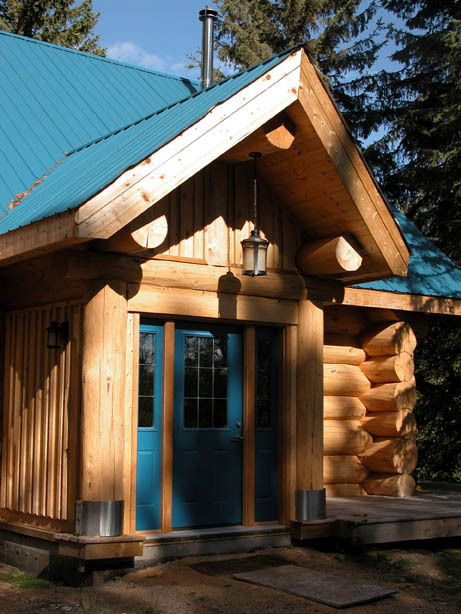 All bolt ends are covered with wooden plugs. 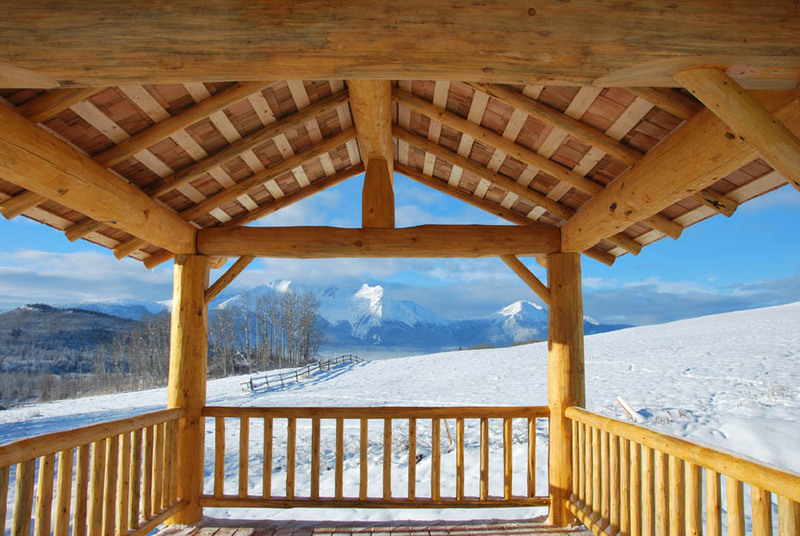 The outbuilding shown is a log gazebo with a spectacular view of Hudson Bay mountain. 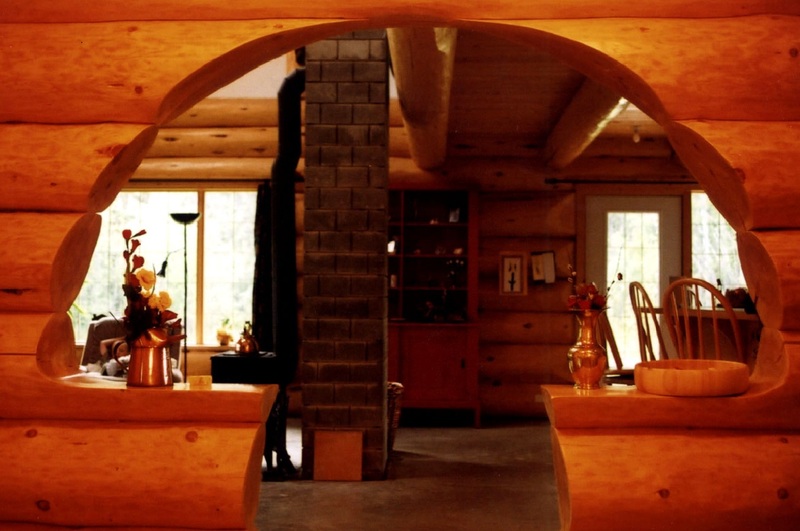 Log rafters, rails and spindles are made using dry pine logs. 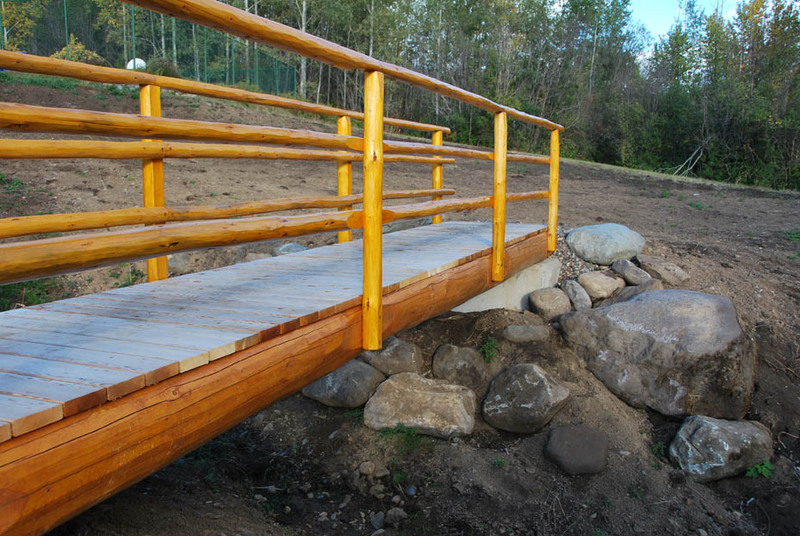 The spindles are secured to the rails using wooden dowels. 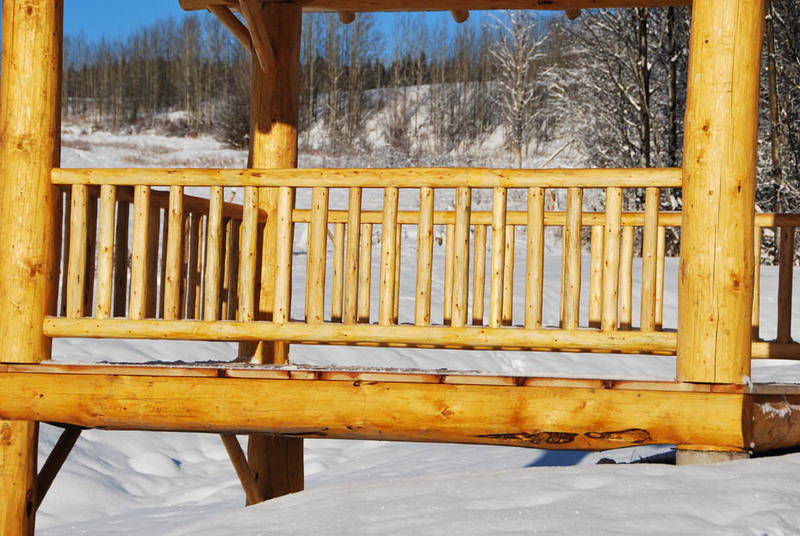 Contact us for information and pricing on log bridges and outbuildings.